Eeeeek! 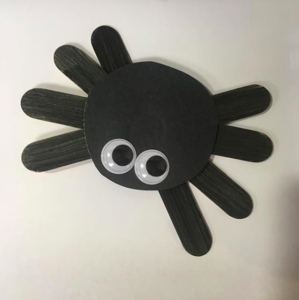 Stop by and create your very own spooky spider at the Kent Library on Saturday, October 13 from 11:30-1:00! All ages welcome! 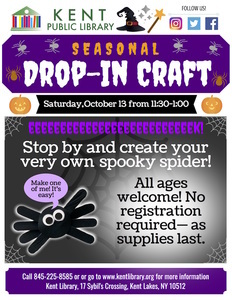 No registration required — as supplies last. The Kent Library is located at 17 Sybil’s Crossing off Route 52 and can be reached at (845) 225-8585 or www.kentlibrary.org.